Can i take my bag on board a plane? 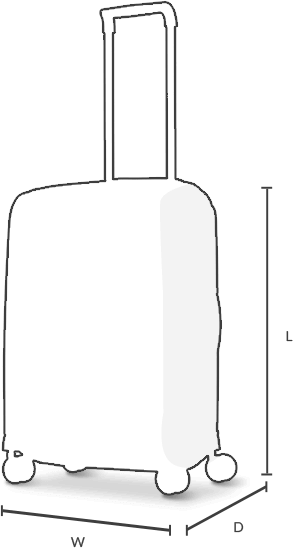 * The sizes shown per airline indicate the exterior dimensions in centimetres, including handles, wheels, bottom glides, side pockets and other external parts. Measurements of volume, dimensions and weight are carried out in the Samsonite laboratories using procedures whereby tolerances up to 1.5 cm in dimensions and 5% in weight and volume cannot be excluded. If your airline isn’t listed in the groups above, please use our cabin luggage finder tool. Filter for your airline and discover Samsonite’s list of suitable cases. Please note that this tool is for guidance only as cabin luggage dimensions may be subject to change.